It is difficult to describe the difference between platforms. Sakai and Moodle provide very similar features and functionality. One of the main differences between the 2 platforms is the workflow for organizing course material. Sakai organizes its content primarily by tools. Users go to the tool (Resources, Assignments, Forums…etc) and add or edit the items created by the tool. Sakai users can then use the Syllabus tool to organize course material by week where they can link to various resources, assignments, forums… etc. Moodle organizes its content primarily by sections. Users go to a section (which can be for weeks, topics…etc) and add a “resource” (i.e. file, link, page) or activity (assignment, forum…etc) to that section. Our workflow analysis suggests that Moodle may be more efficient than Sakai at organizing content by week as is commonly done in syllabi. 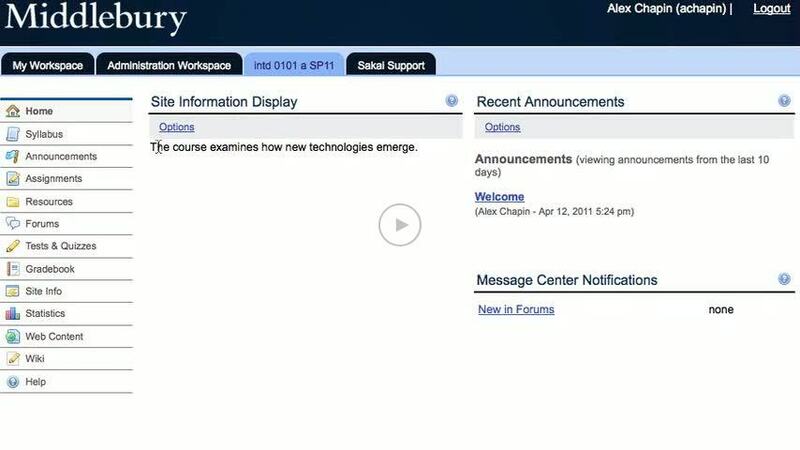 Below is a screencast that shows the steps required in both Moodle and Sakai to add an assignment to a syllabus.